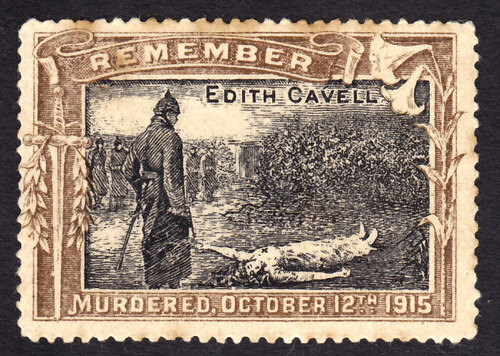 Stamp commemorating Edith Cavell, executed Oct 12. As we start putting out carved pumpkins and plastic skeletons, it’s time to take a moment to look back at the headlines from a century ago. There’s plenty here to foster a chilling Halloween spirit, especially in the trenches of the First World War. Espionage: Nurse Edith Cavell is executed on October 12 by a German firing squad for assisting at least 200 Allied soldiers to escape from occupied Belgium. Cavell would become a symbol in Allied (especially British) propaganda for the decency of resistance fighters in Belgium and her execution as proof of the cold ruthlessness and militarism of Germany. Serbian Front: A new campaign to conquer Serbia (the focal point of the beginning of the war) is launched by Germany and Austria-Hungary on October 7, joined by Bulgaria on October 14. Within six months, the Serbian army will be forced to retreat and the bulk of Serbia occupied. Baltic: The German armored cruiser SMS Prinz Adelbert is torpedoed by a British submarine and destroyed on October 23. Over 670 sailors are killed, the greatest loss of life for the Imperial Navy’s Baltic forces during the war. 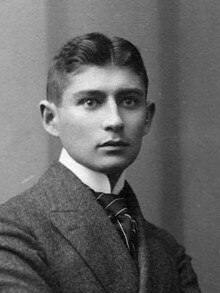 Literature: Franz Kafka’s book The Metamorphosis, about a man who turns into a giant insect, is first published this month in Germany. Diplomacy: The United States recognizes the revolutionary government of Venustiano Carranza, the “Primer Jefe” of the Constitutionalists in Mexico on October 19. He will go on to become President of the country in 1917, but is assassinated only three years later. Law: Lyda Conley, who had been arrested a year earlier for shooting a policeman, becomes the first Native American woman admitted to practice at the US Supreme Court, October 25. She had appeared in propria persona (in her own person) in 1909, to argue in favor of protecting a Native American cemetery. Government: Billy Hughes succeeds Andrew Fisher as Australian Prime Minister on October 27. He will break with his own party (Labor) over the issue of conscription and form the new National Labor Party, which later merged with the Commonwealth Liberal Party to become the Nationalist Party, while still serving in that capacity. Disasters: The St. Johns School in Peabody, Massachusetts catches fire on October 28. 21 girls between the ages of 7 and 17 die in this fire, in part due to poor safety procedures and lack of safety exits. Deaths: Actress Blanche Walsh dies October 31 from kidney failure. Mostly known for her work on the stage, she appeared in a film version of “Resurrection,” the novel by Leo Tolstoy, produced by Adolph Zukor in 1912.